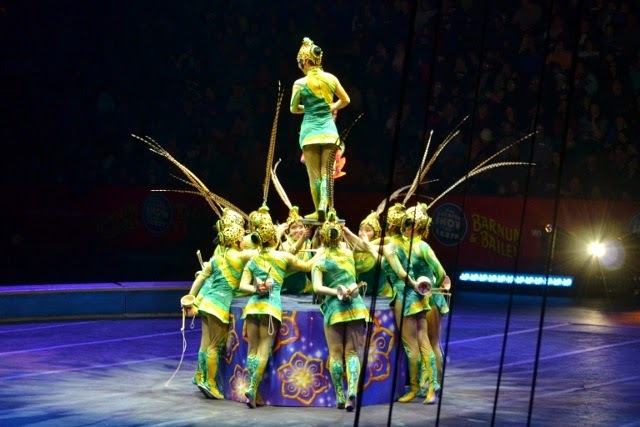 What better way than to spend the day with the family than at the Ringling Brothers and Barnum & Bailey Circus. This has become a family tradition that we all love, even the adults. 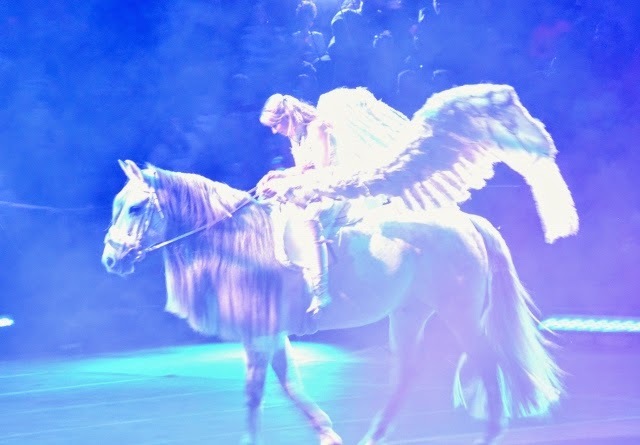 The Ringling Circus is simply phenomenal and makes us laugh, bite our nails and sit at the edge of our seats. This year's show is Legends. 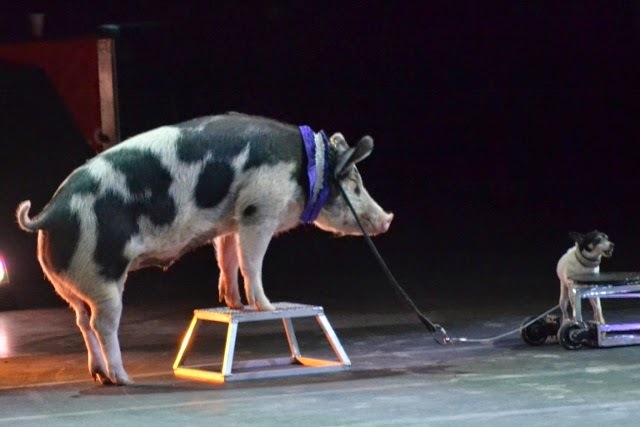 There are so many things I have grown to love at the circus. The Ringmaster, Jonathan Lee Iverson, is simply awesome! 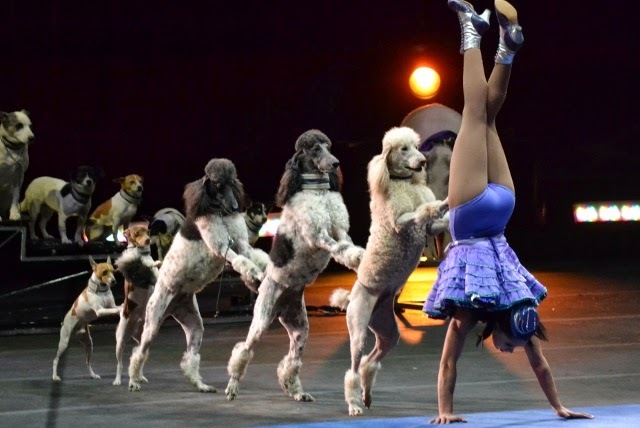 He has been with the circus since 1998 and is a natural. 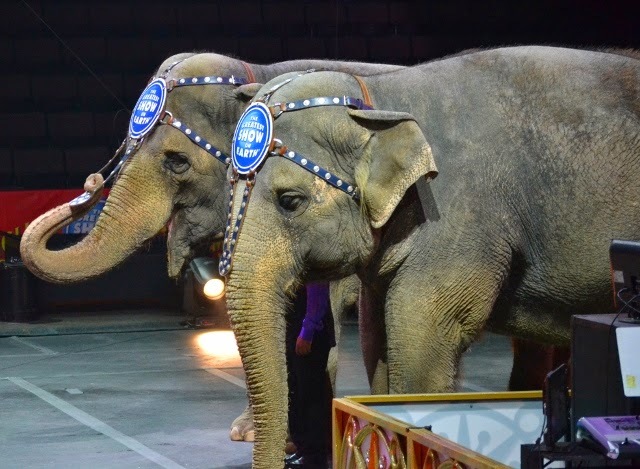 I have also been fascinated with the elephants, although I, along with others, am glad to see that they will be phased out of the show. Another thing I love is the action, color and choreography of the show. Fine arts combined with strength, endurance, agility and daring feats all performed to perfection. The show runs so smoothly that if you aren't on the lookout, you don't notice them setting up for the next performance. I also love the band. I catch myself looking over at them quite frequently, noticing the excellence in their performance that is so key to the show. Our family truly loves this show and it has become a wonderful tradition. My girls are still young, but I can envision us 10 years from now going to the circus still. 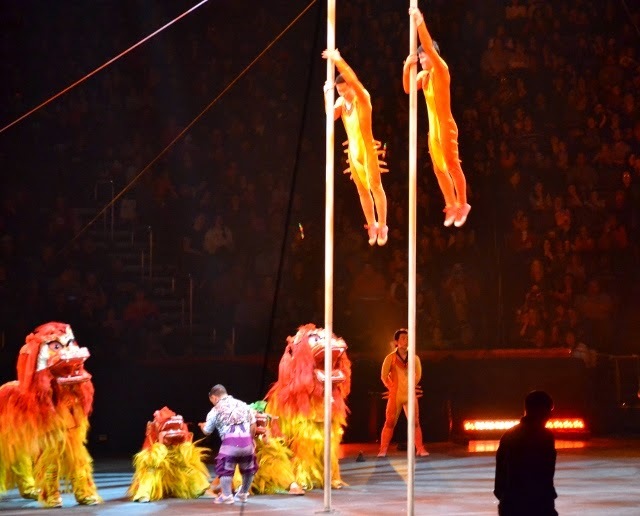 There is still time to catch the circus at the US Bank Arena in Cincinnati on Sunday, March 8, 2015 or other venues around the country. 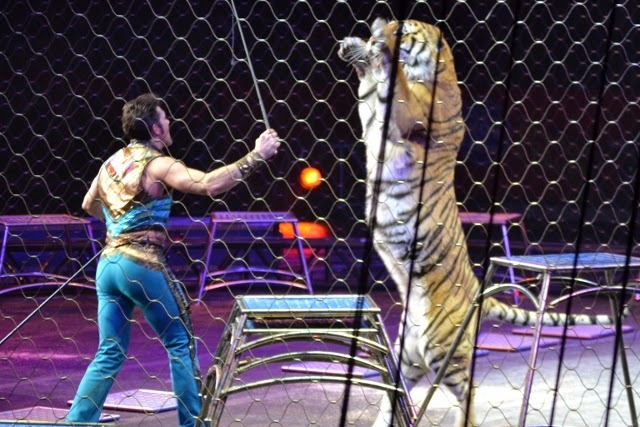 Click here to purchase tickets for a Ringling Bros. and Barnum & Bailey performance in your area!.